My mom and I are going to Colorado next week. We will be renting a car. My dad is an avis preferred member, so usually he gets nice cars (for a rental car) such as Subaru Legacy, Mazda 5, Fiat 500, Ford Focus, etc. It all sounds great, but he can't get the avis preferred under my moms name so he set us up to rent from Hertz. Economy class cars. 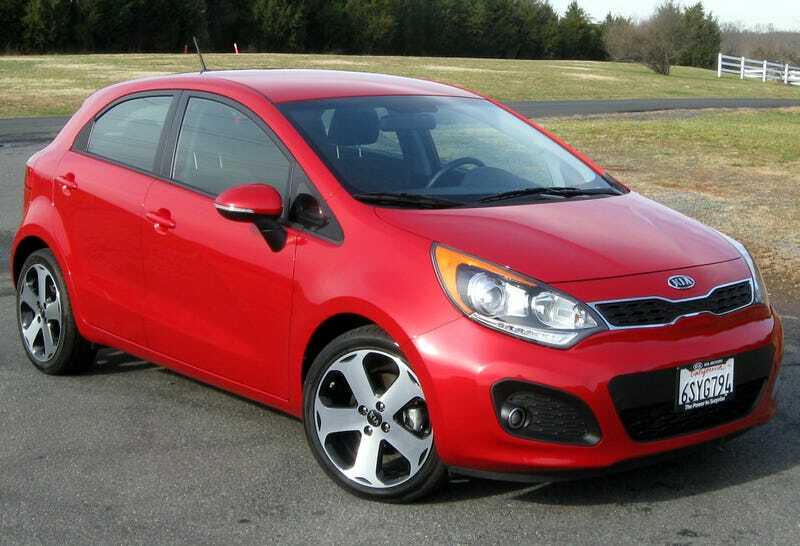 I looked online to see what they rent out and it looks like they have two options, a Kia Rio, or a smart fortwo. Neither of which are great cars. I know kia has come along way, but being stuck in a Kia econobox for a week doesn't sound pleasant. The smart fortwo I'm hoping we get, because at least it's different. Although if we did, my mom would probably through a fit and demand a new car. Ugh. Which would Oppo rather drive?